Osaka Gas UK Ltd ("OGUK"), a wholly owned subsidiary of Osaka Gas Co., Ltd ("Osaka Gas") was established in 2010 to expand its business in European, Middle Eastern and the Atlantic markets, especially in the energy sector. OGUK has invested in an LNG regasification terminal in Spain, water and power production plant in the UAE, a gas distribution company in Italy and a water supply company in the UK. Established in 1897, Osaka Gas has over 100 years of experience in the energy sector and has grown into a diversified energy company, well-positioned across the entire natural gas value chain. Osaka Gas is a major natural gas and energy service provider serving 7.3 million gas delivery points in the Kansai Region, the second largest metropolitan area in Japan, with a 60,000 km pipeline network. 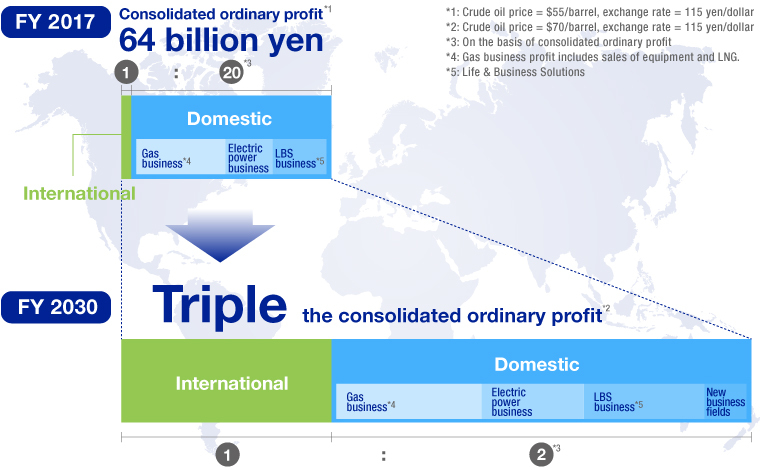 The Company accounts for approximately 25% of the entire natural gas supply market in Japan. Osaka Gas is actively pursuing investment opportunities consistent with its long-term "Going Forward Beyond Borders 2030" business plan. As a part of the vision, Osaka Gas plans to deploy $5.5 billion by 2030 in energy assets internationally. The strategy is approved by the board of directors of Osaka Gas UK, Ltd on 11 October 2018 (first published on 1 November 2017). The document will be reviewed annually and any amendments will be approved by the board of directors.